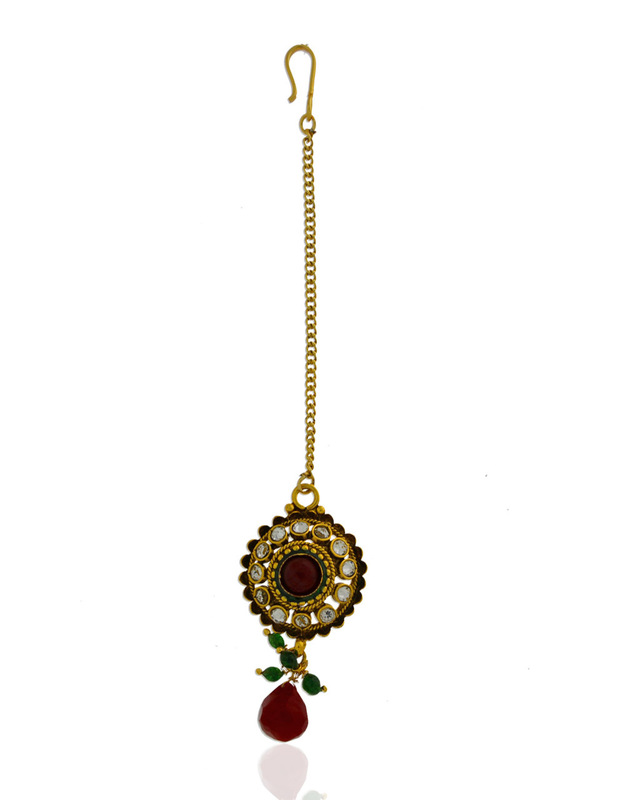 Update your jewellery collection by adding this multy colored stunning necklace from Anuradha Art Jewellery. 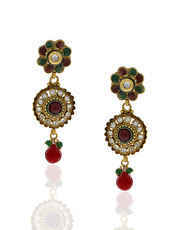 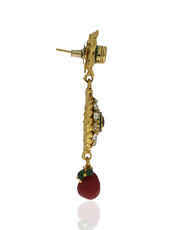 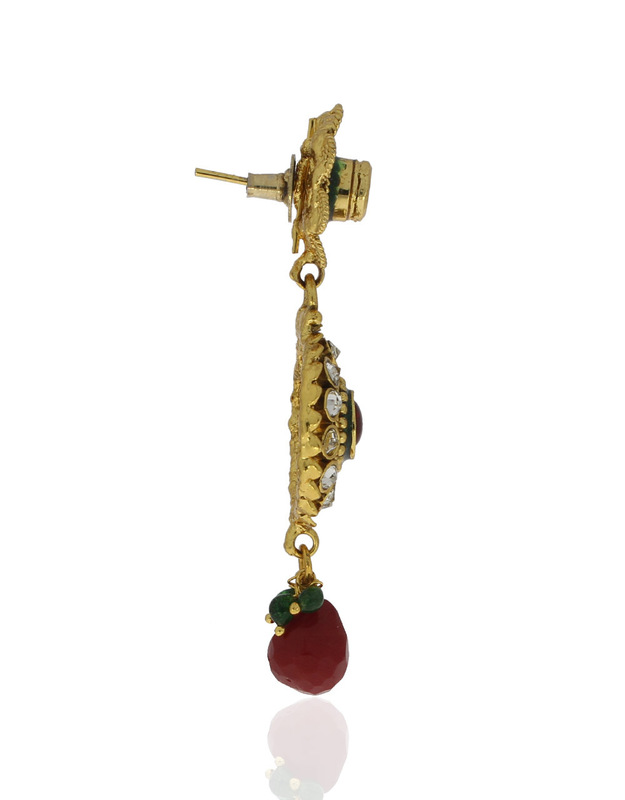 It is encrusted with stunning stones & crafted from golden polished copper. 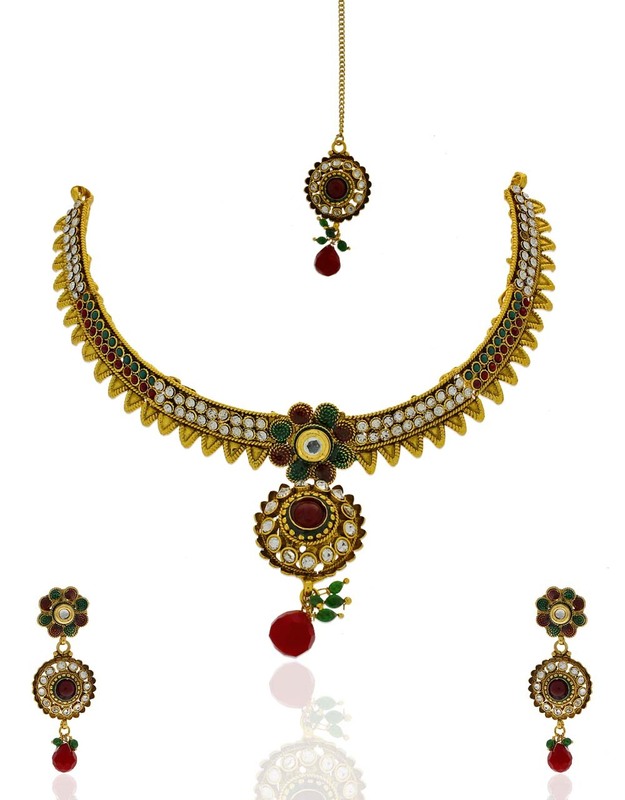 Team this set with matching saree & get that dazzling look. This sales package consists of necklace, pair of matching earrings & maang tika.